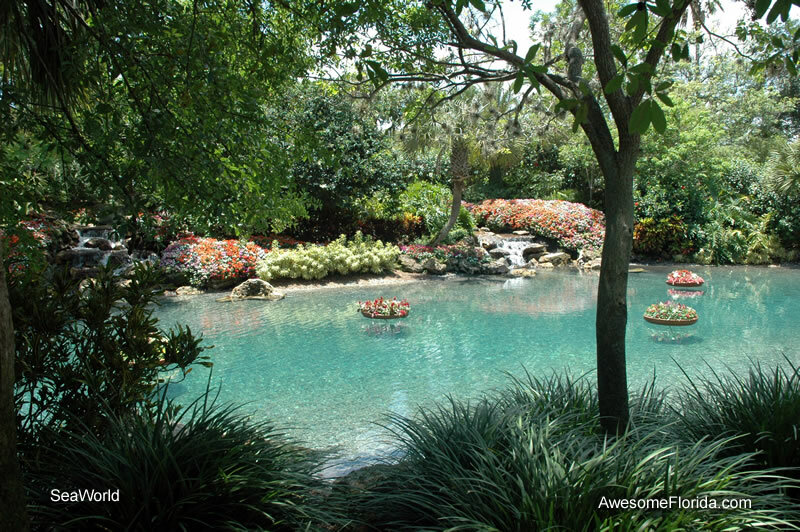 SeaWorld in Orlando is a terrific combination of performances, rides and animal attractions. 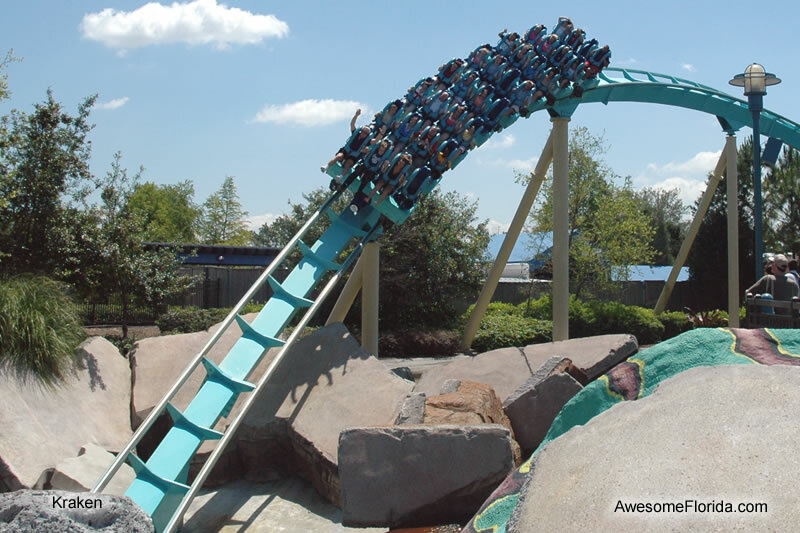 Many of Orlando's theme parks focus on high-tech performances and rides and are certainly exhilarating and fantastic - but this attraction is just plain, good old-fashion fun! While being a first class entertainment venue in its own right, it also actively promotes marine-life education, conservation, research and animal protection. The organization is very active in research, rescue and rehabilitation. The facility has helped thousands of whales, dolphins, turtles and manatees. The park is an excellent choice for both adults and children. Even teens have been found to enjoy the park! All ages will enjoy the comical performances and spectacular marine shows. The up close encounter with marine animals is also an experience that most will enjoy and remember. As its name implies, the primary theme is sea and water-related interests with heavy emphasis on marine life. There is a wide variety of in-park dining and refreshment facilities. These range from quick bite snack shops to sit-down, and relax restaurants. For a real Florida/nautical experience, enjoy lunch or dinner at the Sharks Underwater Grill where you will dine among 50 sharks in a 660,000 gallon shark habitat - with nothing but the transparent wall between you and them! Plan to spend most of the day at the theme park to enjoy all that it has to offer. Go early in the day during summer to beat the Florida heat. Also plan visits to the air-conditioned Wild Arctic®, Penguin Encounter® and Nautilus Theater performances to get a break during the hottest parts of the day. Some of the rides and seating at some marine performances will get visitors wet! Know and plan for this if desired. Waterproof cameras are in order and can be purchased at the park. 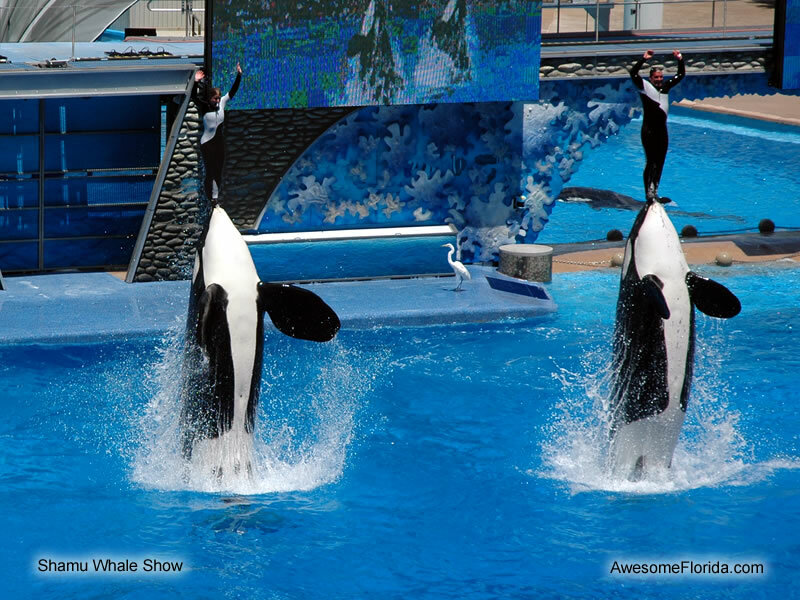 The more popular whale, dolphin and sea lion shows fill fast, so arrive early to get good seating. 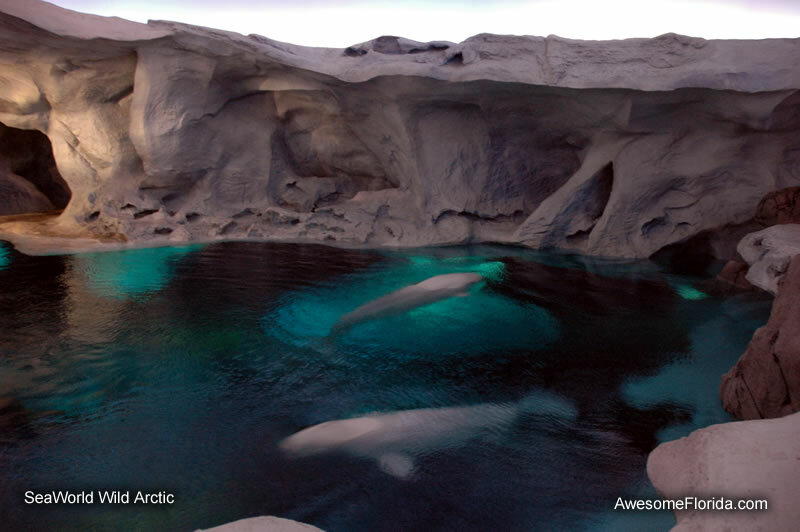 Beluga whales at Wild Arctic?